Steel Photocell - Stacy, Minnesota - Wyoming Machine Co.
Wyoming Machine, Inc. delivers accurate, efficient, quality steel fabrication for a variety of industries. 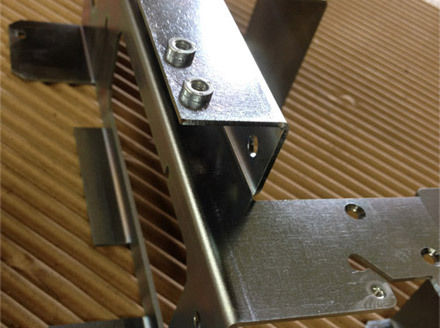 Our dedication to customer satisfaction is what brought this customer in the commercial and service machinery industry to us for a steel photocell fabrication project. This photocell is used in equipment that produces financial and identification cards. 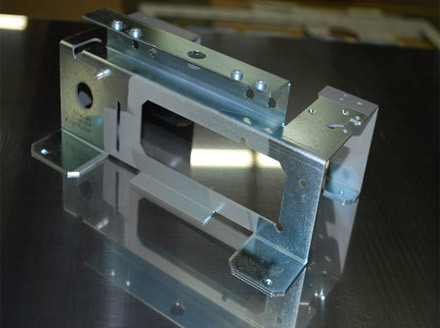 It represents a complex sheet metal component that required precision forming and single piece construction. Our state of the art equipment and skilled craftsmen enable us to accomplish even the most complex bends and forming with consistent, precise results. Based on customer specifications and a 3D CAD drawing, we formed the 9.41" long x 5.53" wide x 3.82" high part out of cold rolled steel with tolerances of ±0.005". The photocell was finished with zinc plating and completed within 3 weeks. 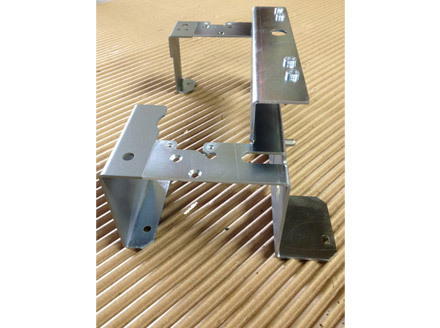 This project utilized a variety of our competencies including laser cutting, drilling, forming, de-burring, zinc plating, painting, and assembly, allowing the customer to have all of their project needs met in one place. Let us meet all of your needs and exceed all of your expectations. Contact us. This photocell is used in the manufacture of a piece of equipment that produces financial and identification cards.